Effective January 22, 2018, air travelers with a driver’s license or identification (ID) card issued by a state that does not meet the requirements of the REAL ID Act may have to present an alternative form of identification acceptable to the Transportation Security Administration (TSA) in order to board a commercial domestic U.S. flight. Early next year, the TSA may not accept some state driver’s licenses that do not meet acceptable security standards under The REAL ID Act, a counterterrorism measure that followed 9/11. The law calls for states to issue driver’s licenses with more security features, such as scannable bar codes and digital photos. 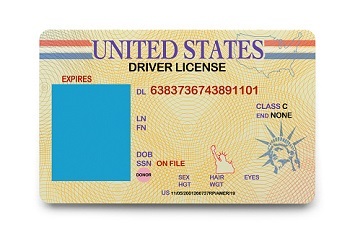 The more secure driver’s license pertains to accessing federal facilities and military bases, entering nuclear power plants, and boarding federally regulated commercial aircraft. Unless a state has been granted an extension to comply with the Act, travelers in states that have not adopted the more secure driver’s licenses—known as REAL IDs—may not be able to present their current driver’s licenses at airports as acceptable ID after January 22, 2018. Passengers in states that have adopted the more secure driver’s licenses will not be affected by the change in 2018. By 2020, all travelers must have ID in compliance with REAL ID, or they will not be allowed through TSA security checkpoints. Beginning October 1, 2020, every traveler will need a REAL ID-compliant license or state ID or another acceptable form of ID to fly within the United States, according to the Department of Homeland Security (DHS). You may continue to use your state-issued driver’s license or ID to fly in the United States until October 1, 2020. Beginning October 1, 2020, you may only use a REAL ID-compliant driver’s license or ID or another acceptable form of identification for domestic air travel. Beginning January 22, 2018, you may continue to use your state-issued driver’s license or ID for domestic air travel only if your state has been granted an extension to the compliance deadline by the DHS. If your state has not been granted an extension by the DHS, you may not use your state-issued driver’s license or ID for domestic air travel. Beginning October 1, 2020, you may not use your state-issued driver’s license or ID for domestic air travel. According to the DHS, many states have either adopted the more secure driver’s licenses or are working on new, compliant driver’s licenses. Some states have been granted extensions to make their licenses compliant, and others have yet to make their driver’s licenses compliant with the new federal standard. Signs have been placed near checkpoints in some airports to notify passengers of the changing requirements. Regardless of the outcome, within a little over 2 years, all passengers without REAL IDs will have to present other forms of identification at TSA checkpoints. Passports or other approved forms of federal identification, such as a border-crossing card, U.S. military ID, TSA Pre-Check, or Global Entry card can be used as an alternative.